This Producer Thrashed Oviya’s 90 ml Trailer For It’s Vulgarity !! Check Out The Reactions !! Oviya’s Bigg Boss stint earned her a loyal fan following, who identifies themselves as Oviya Army. Her ardent fans were eagerly expecting her first movie post-Big Boss and it’s here. 90ML, directed by Anita Udeep (also known as Alagiya Asura), is currently in the post-production phase. 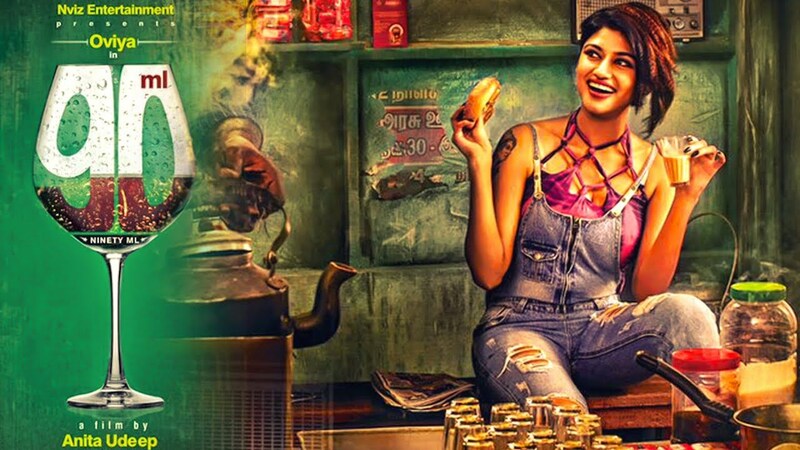 “Our film has a bold content but I’m expecting both positive and negative comments from the audiences”, said Oviya. Directed by Anita Udeep, the film has music composed by STR aka Silambarasan and Arvind Krishna of Kadhal Kondein and 7G Rainbow Colony fame has handled the cinematography. As soon as the trailer released, Internet saw various response from the audience. Those who loved the trailer stayed calm it seems which is evident through the hatred comments from majority audience. Raman Thediya Seethai (2008), Kanden Kadhalai (2009), Aval Peyar Thamizharasi (2010), Siddhu +2 (2010) , Settai (2013), Anjaan (2014), Purampokku (2014), Yatchan (2015), Irudhi Suttru (2016), Mr. Chandramouli (2018), Kaatrin Mozhi (2018). Yes..I should have said that time. Better late than never. That was very aesthetically shot. Not vulgar like this. Don’t compare. சார், உங்க Mr.சந்திரமௌலி படத்துல ஒரு பாட்டுல ரெஜினா மேடம் இளைஞர்களை முன்னேற வழி சொல்லி கொடுத்தது மறந்துபோச்சா.?? Infact Promotions for that film were also done with the Pics of that song being projected upfront. Don’t be judgemental as if you are doing all right. Did you feel the same when you produced #Settai ? I am not supporting this movie either, leave it to the audience they are matured !! I think u both of them supported IAMK, why not this? Whoever likes going to watch in theatre, rest will watch silently at home (in mobile or laptop). romba over reaction vendaam, current young ppl knows more than this, edhu parthu thaan theriyanum nu avasiyam illai. அதான் ட்ரைலர் ஆரம்பத்துலயே ADULTS ONLY ன்னு போட்டிருக்காங்க இல்லை… அதை பார்த்தே தீருவேன்னு பார்த்துட்டு இப்படி புலம்பினா என்ன அர்த்தம்!!! Previous articleThis Controversial Director To Replace Bala In Directing “Varmaa” ?? EXCLUSIVE UPDATE !! 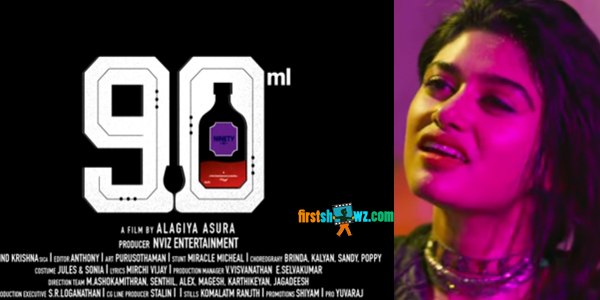 Next articleFinally Oviya Opened On The Controversial Adult Film 90ml Trailer !! Fans Still Not Convinced ! !